Homeowners need assurances that when they call upon a plumbing professional, they’re getting top-notch service at a fair price. That’s not something all plumbing contractors can promise, which is why Old World Plumbing stands out! Our trained and certified professionals are ready to bring your plumbing issue under control, regardless of the time of day or day of the week. From same-day to weekend services, Old World Plumbing excels at everything from simple repairs to new installations to the replacement of old plumbing systems. Homeowners deserve a reliable plumbing company to assist them with their residential plumbing problems. From routine maintenance to installing new plumbing systems to assisting with emergency plumbing services, Old World Plumbing’s experienced, detail-oriented plumbers are ready to help residents of Kane, Kendall, Cook and DuPage counties. Old World Plumbing’s reliable plumbing problem solvers take the guesswork out of the process of bringing a reputable, certified and trustworthy plumbing professional in to get a job done right and on time. There are a variety of plumbing services that homeowners require to keep their plumbing systems operating properly and to protect against water damage. Homeowners expect clean water to flow at the right pressure to taps, drains to drain, and pipes to flow unimpeded to sewer lines and away from their property. When contacting a plumbing contractor, homeowners don’t want a company that can’t provide comprehensive services. They need a contractor with extensive experience in whole-house plumbing systems, pipe repair and replacement expertise. Plumbing emergencies are no fun, as they often bring unexpected inconvenience and expense. However, at Old World Plumbing we choose our plumbers from a pool of professionals with quality in mind. Furthermore, our services come with an eye on affordability while maintaining a culture of top-quality craftsmanship. Old World Plumbing has earned high praise from our clients, who always feel they have an incentive to call us when they have a plumbing issue that needs immediate attention. Keep Old World Plumbing top of mind for all of your plumbing needs! Looking for great value and service from your plumbing company? 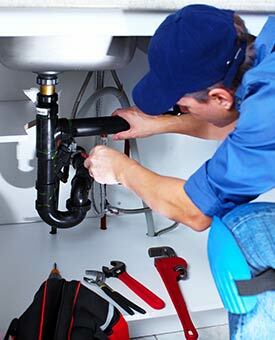 Our residential plumbers are professional, friendly, and ready to help assist you with all your plumbing needs. Careful planning comes in handy, particularly in a situation where a home emergency occurs. For example, a water pipe bursts – what are your first, second, third and fourth steps to remediate the problem? Most homeowners coast along for quite some time before they ever encounter a problem with water pressure in their home, but yet it’s not exactly a rare occurrence – sooner or later it happens.